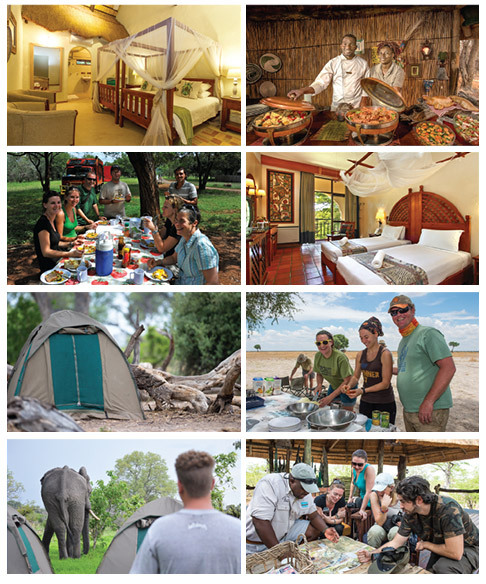 Sunway Safaris is a leading small group travel company based in Southern Africa, specialising in camping and accommodated tours, with more than 300 safaris each year, on 30 different routes, in 10 countries. With a fleet of custom-built safari trucks and 4x4s, Sunway Safaris has offices in South Africa, Namibia and Botswana. Sunway Safaris operates small group, set departure date tours, for the adventurous and young at heart, specialising in wildlife safaris throughout Southern Africa, with a focus on national parks and natural wilderness areas. Striving to offer outstanding travel experiences, adventure, incredible wildlife, scenic beauty and cultural interaction, itineraries have been perfected over 25 years of touring Southern Africa. Sunway Safaris wants you to experience Africa, be active and involved, secure in the knowledge that you’re travelling with the experts, in an environmentally responsible way. Sunway provides you with a unique experience whether you are a first time traveller or veteran explorer. By travelling with a maximum of 12 people, you are able to witness Africa and have first hand contact with this amazing continent and its people in an environmentally responsible way. Sunway trips appeal to a wide demographic of traveller, ranging in age from 25 to 65+ with the average being 45. On a Sunway safari you will travel with 2 qualified and registered field guides (Field Guides Association of SA). Sunway guides have a passion for Africa, her people and her wildlife, and they love nothing more than sharing their knowledge with you. Sunway ensures that each trip provides the best inclusions and experiences. For example, if you go to Botswana – you have to visit the national parks in an open 4WD – it is the essence of the Botswana wilderness. If you tour Zambia, then you must visit South Luangwa NP and do a game walk with a local scout. When booking on a Sunway safari there are no hidden costs. All of the entrance fees are included, and a wide range of activities, and most meals. Sunway's fleet of vehicles are custom-built to ensure comfortable and safe touring. Each is constructed, by an authorised passenger vehicle builder, to the latest safety requirements, with a safety shell, and every seat has a lap belt. This gives you peace of mind when travelling with Sunway Safaris on the often demanding African roads. Going it alone won’t make your holiday more expensive; Sunway's reservations staff will match you up with another same-gender traveller to keep your holiday affordable. Single room/tent are available with a price supplement. With more than 25 years experience planning tours throughout Southern Africa, Sunway's itineraries and routes have been perfected over many years ensuring that your tour will run smoothly. You will visit the highlights of Southern Africa, but you will also get off the beaten track. People who ordered Sunway Safaris Africa also ordered the free travel brochures below. Click on the images to find out more about these brochures.